Eaton’s metallic finish devices and wallplates are designed to bring a touch of elegance to any room by matching the style of contemporary door and cabinet hardware, lighting and plumbing fixtures, and appliances. 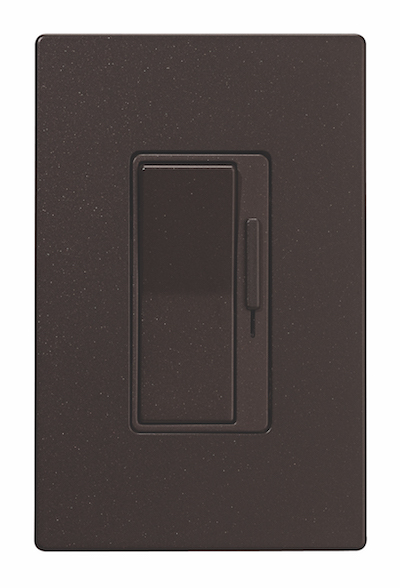 Dimmers, GFCIs, receptacles, and switches are available in Silver Granite and Oil Rubbed Bronze with matching screwless wall plates to provide a clean, seamless look. Eaton offers a broad portfolio of residential products that provide safe, reliable solutions for power management including lighting and control devices, backup power, surge and circuit protection, and USB receptacles. 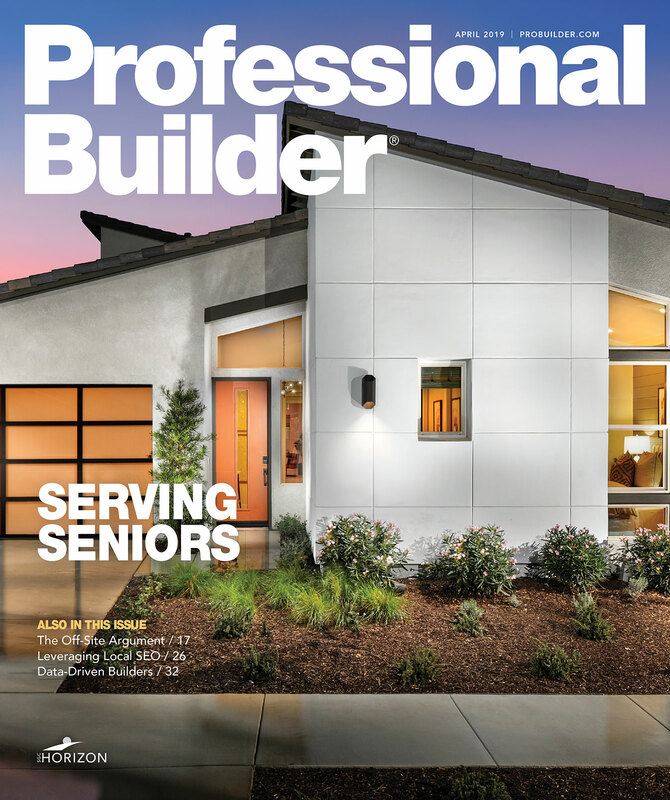 Eaton is a long-standing collaborator with the NAHB’s New American Home, providing energy-saving solutions and connectivity to help customers effectively manage electrical power. 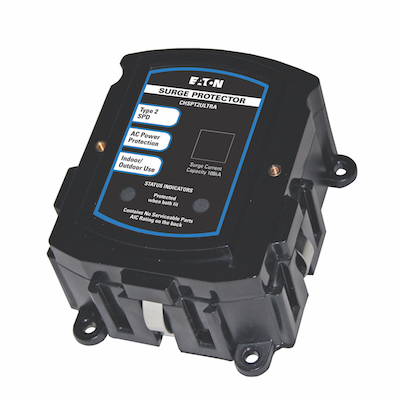 The Contractor Series 8160W is a DC motor–powered, chain-drive garage door opener that operates quietly for smooth starts and stops. The Wi-Fi–enabled opener features LiftMaster’s MyQ app and smartphone connectivity, which allows users to control their garage door from anywhere. 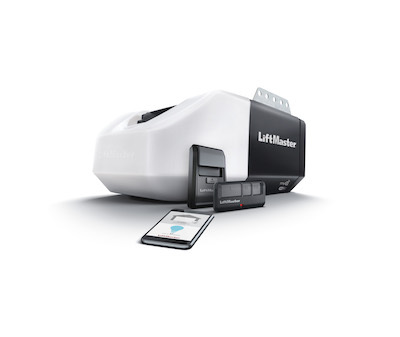 The 8160W, like other LiftMaster products, is subjected to 50,000 cycles of 50 different tests to ensure reliability. SharkBite Plumbing Solutions’ EcoPEX push-to-connect rough-in plumbing solutions for new construction are designed to eliminate the need for tools, soldering, crimping, expanding, or glue, optimizing installation time and reducing leaks, the company says. 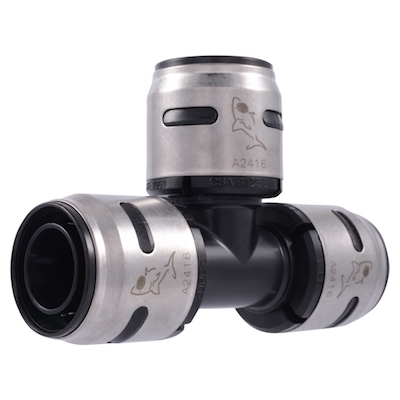 The body of SharkBite connectors is made from Acudel high-performance polymer and features a green-colored visual indicator telling the user that the connector and piping are properly attached and secure. SharkBite systems also come with a 25-year warranty and 10-year consequential damage coverage. 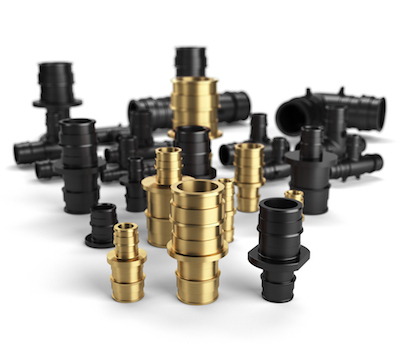 Zurn’s line of F1960 expansion PEX fittings is available in lead-free brass and CR polymer corrosion-resistant plastic from 3/8 inch to 2 inches. Each fitting comes in a variety of styles, including elbows, tees, valves, couplings, and adapters. Zurn’s patented variation of the silane method produces PEX piping with the highest chlorine-resistance rating defined by ASTM and up to six months of UV resistance.